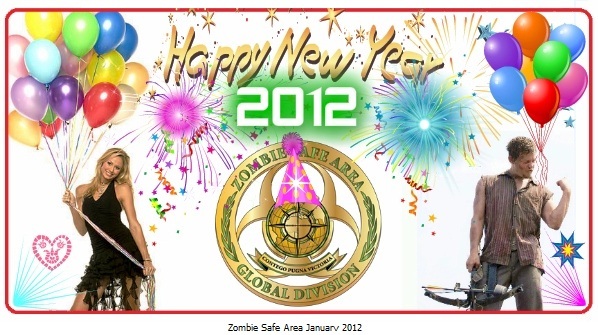 HAPPY NEW YEAR FROM ZOMBIE SAFE AREA ! 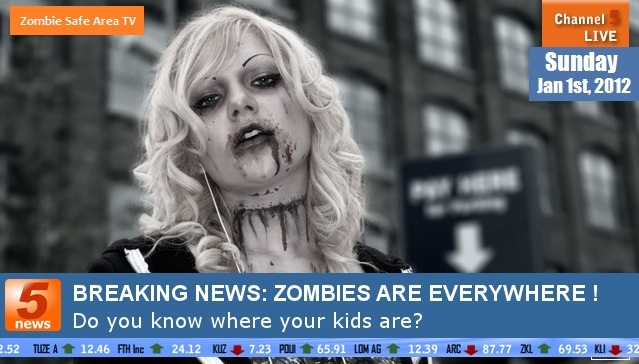 FROM ZOMBIE SAFE AREA ! Bonne Année Zombie 2012 de Zombie Safe Area! What a year it has been! For years we have been hunting zombies, enjoying zombie movies and dreaming of doing something! 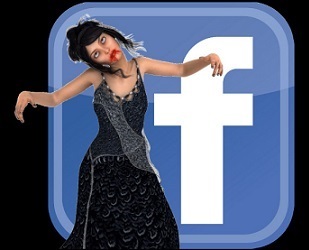 Then in July 2011 finally our page was created on facebook, and we are progressing to do more, much much more! We thank all our awesome members who have made it all possible, just by being there, encouraging us, and learning from us! We will continue to protect, fight & win this Z-War! Protecting humanity is our goal! We also aim to prepare, entertain & educate you! We hope the next year will be better for all of us! Together we will fight any zombie outbreak and apocalypse that might befall mankind! Being prepared, ready and waiting all basically the same lol is what its all about. You have nothing to lose for it’s all useful in any kind of emergency! There are so many we couldnt thank all, our ZOPEC allies, aswell as many Zombie hunters, editors groups and friends who help us all the time! So one big thank you to you all and lets celebrate this new zombie year 2012! Stay warm & cozy & always cool minded! Lets make every bite worth it! To another awesome year of the undead! Hell Yeah!